These are not my ideas, but thanks to social media platforms like Instagram and Pinterest, I've fallen in love. The takeaway from previous conversations Nick and I had on the subject is that we will be keeping the existing woodwork in the home. While, admittedly, I am not the biggest fan of the basic light wood tone, I cannot deny the asset of our home showcasing real wood. The challenge now, is how do we update it so it feels fresh and modern? 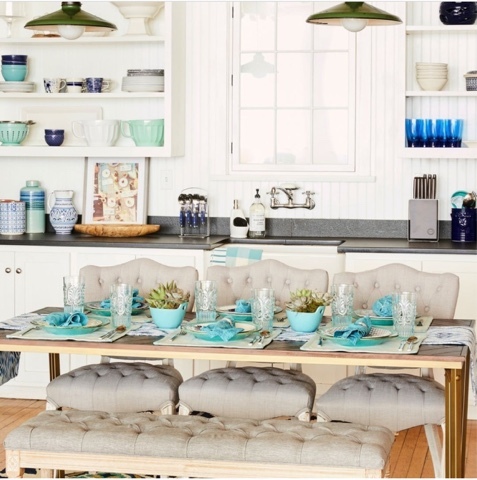 Today's post is going to focus on the dining area of our great room. The kitchen, dining and family room are all open to each other, and a 2-sided fireplace separates the space from what I feel will be best utilized as a library. 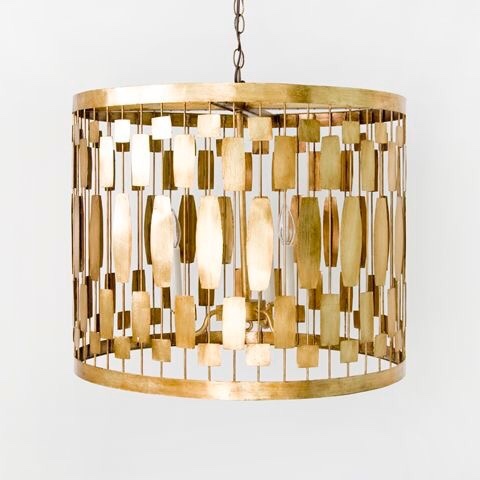 First, I found the pendant light fixture that will one day hang above our heirloom table. It was passed down to us, and the space is large enough to keep our leaf in! Currently though, one of the set's six chairs is positioned at a built-in desk. It's a little awkward, but it works for now so we aren't fussing over it. Back to the light. I love the simplicity of it's shape, because the drama is in the shadows it casts against the ceiling and walls. 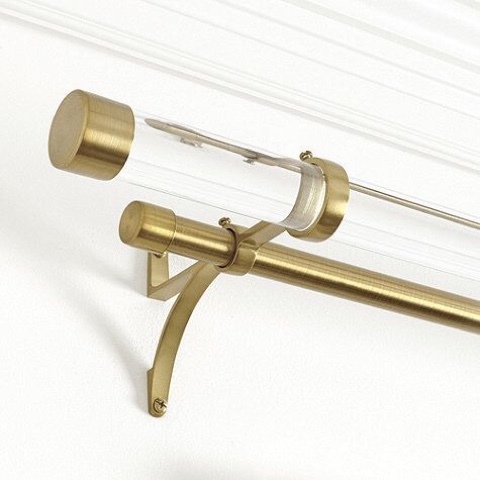 While it also comes in silver, I feel the gold will accentuate the warmth of the woodwork best. The dinette includes access to our deck, and the configuration is octagonal in shape. A door is flanked by two tall and thin windows. 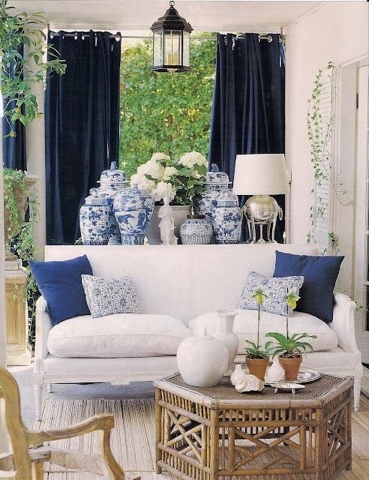 While we haven't discussed doors for the house, I am leaning towards balancing the warmth with deep navy curtains. I pulled this picture to reference both the navy curtains and the collection of ginger jars. 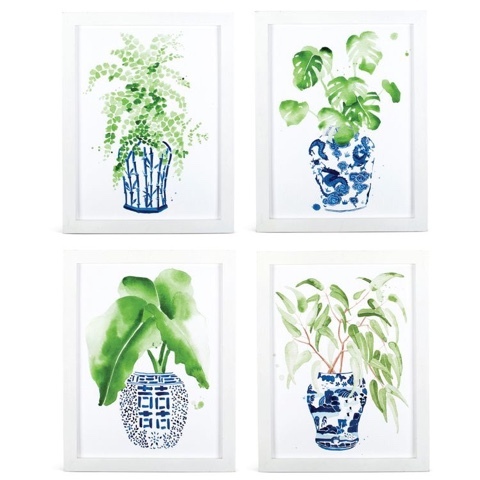 A grid of these prints would fit the expanse of wall space between our family room and dining space. I saved this image because I really like the look of the tufted dining chairs, and utilizing bench seating for the other side of our table. I feel like the chairs on the side the family room is on "obstructs" the visual space, and I like the inviting feel of this set-up. 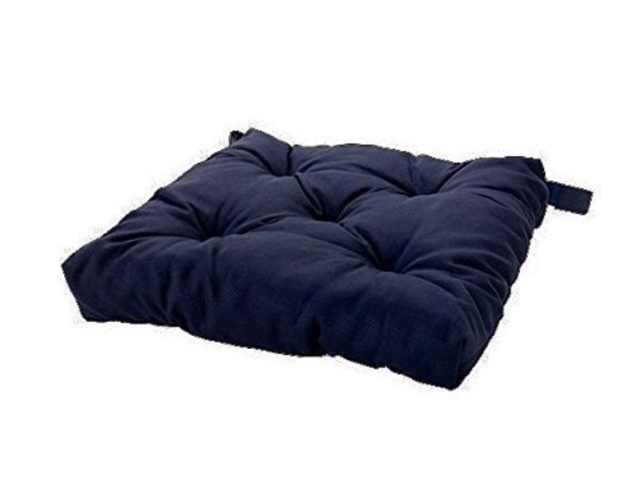 In the meantime, however, I have 6 navy chair cushions on my Amazon wish list. Personal opinion alert: I do not like the look of rugs or carpet under dining tables and feel flooring is best for easy clean-up. However, since we are so early in the process (as in, we haven't started ANY process), I can't provide any insight as to what kind of flooring we would purchase. Plus, who knows - by the time we feel ready to tackle projects, my vision may change. For the purposes of documentation though, this is a good start. More House Inspo discussed here.